Suzuki today launched the Made-in-India Baleno hatchback in Japan. First showcased at the 2015 Frankfurt Motor Show, the Maruti Suzuki Baleno was launched in India in October, 2015 and has already received over 1 lakh bookings since then. Currently manufactured only in India at Maruti Suzuki's facility in Manesar, Haryana - the Maruti Baleno is also exported to markets across the globe with a tally of over 100 countries eventually. Kenichi Ayukawa, MD & CEO, Maruti Suzuki India Ltd., said, "A landmark moment like this is a true testimony to the success of Indian Government's "Make in India" campaign. Launch of 'Made in India' Baleno in Japan is a proud moment for all of us. This reaffirms Maruti Suzuki's manufacturing potential and growing importance of Maruti Suzuki India Limited in Suzuki Motor Corporation's global business strategies. I am confident our Baleno would be well accepted by Japanese customers as well." 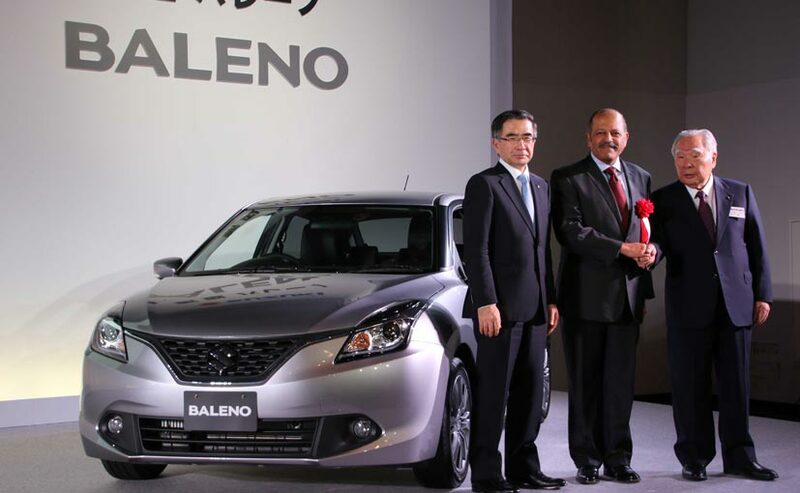 The launch of the Made in India Baleno in Tokyo was also attended by H.E. Mr. Sujan R. Chinoy, Ambassador of India to Japan. He said, "Maruti Suzuki exports to over 125 countries including those in Europe, which is proof of their quality. The model being launched today, the Baleno is a state-of-the-art car developed and manufactured in India through Suzuki's excellence. It will be exported to 100 global markets including Japan. I am confident that the Baleno will prove to be a huge success in Japan. I wish the launch complete success." The Suzuki Baleno will be initially be offered with just the 1.2L DUALJET unit, though the 1.0L BOOSTERJET direct-injection turbo engine variant's launch has been scheduled for May 13. In India, the Maruti Baleno comes powered by the 1.2-litre K Series petrol engine and the 1.3-litre DDiS diesel motor while transmission duties are fulfilled by a 5-speed manual and the 5-speed CVT.